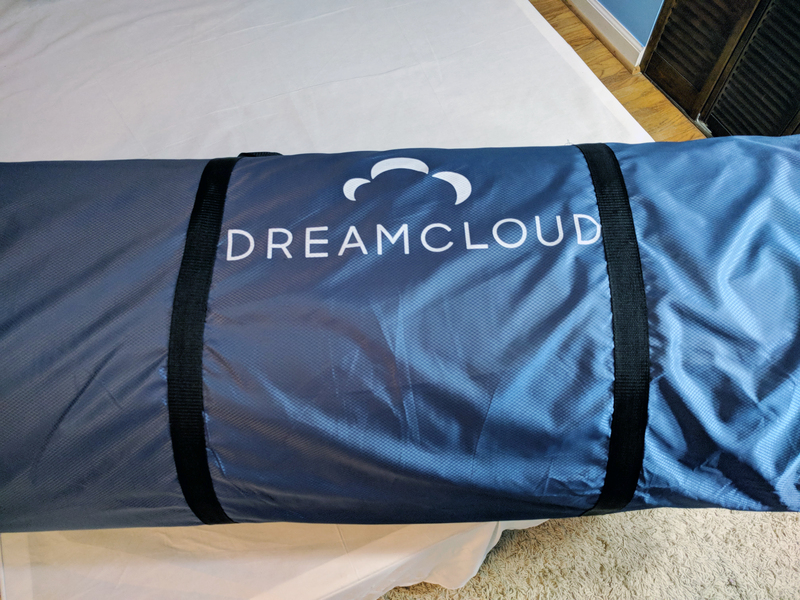 DreamCloud Mattress Review - Luxury Bedding Priced Right! 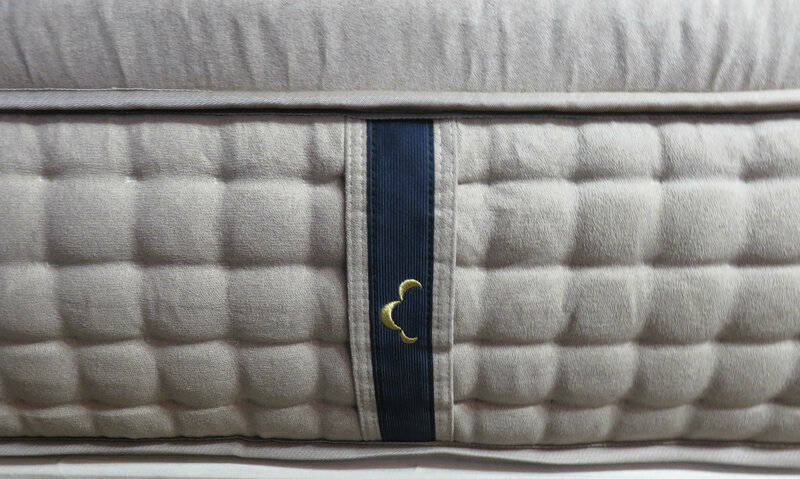 Home » Reviews » DreamCloud Mattress Review – Luxury Bedding Priced Right! 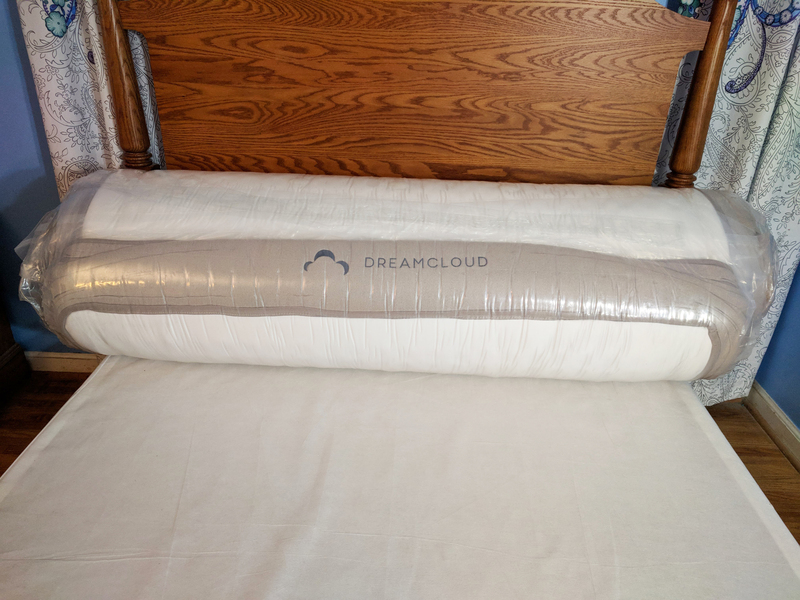 DreamCloud Mattress Review – Luxury Bedding Priced Right! The DreamCloud company was founded with a very ambitious agenda. Their goal is to build a high quality, luxury mattress that everyone can afford. We set out to see if they've done it. DreamCloud offered us an opportunity to try their mattress and see for ourselves. The bed was provided at no cost. 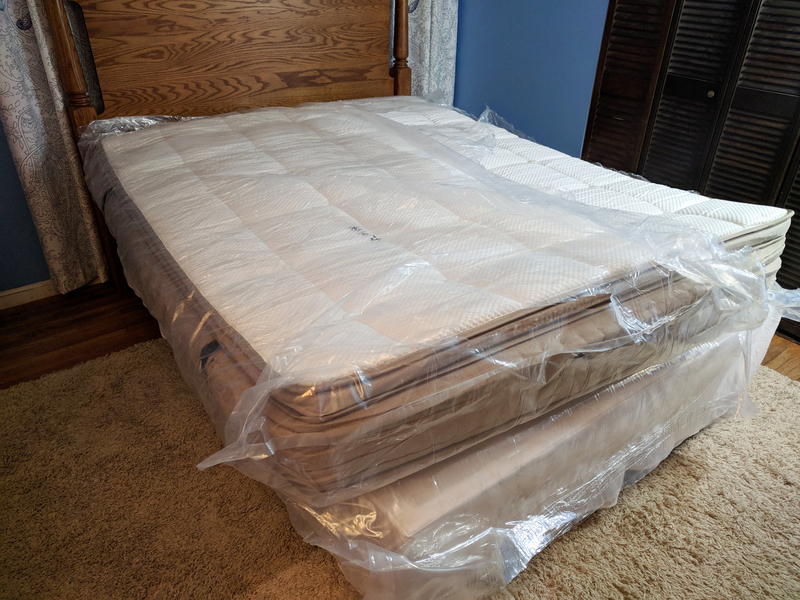 The only expectation was that we would give the mattress an honest evaluation. We'll take you step by step through our complete DreamCloud experience. Compared to other online options the DreamCloud may catch you off guard with it's tall 15" profile. Its clean tailored lines look more like a high end retail mattress than a bed in the box offering. Top to bottom, only quality materials are used to create DreamClouds unique comfort experience. The first thing we noticed was the rich quality appearance and soft hand of DreamCloud's cover. This Cashmere blend is luxurious and rare in today's market. It's also quite expensive and typically only found in high end luxury mattresses. Cashmere is sheered from goats, rather than sheep, and has unique characteristics. Compared to wool harvested from sheep, it is softer, with lofty comforting fibers. It's also extremely breathable and bedbug resistant. A cashmere blend is as durable as traditional wool; but It can also be more difficult to clean. DreamCloud offers a one time free cleaning of your cover after 1 year. Also, one time full "like new" full reconditioning of your cover is also offered after the first 5 years. However, use of a quality mattress protector should alleviate most concerns you may have about your cover. Designed for contouring and cooling, Gel Memory foam offers nice transitional pressure relief. This additional foam layer adds support and comfort. Latex provides bounce and resiliency. It creates more of a floating sensation. This high density foam offers additional contouring. Denser foam transitions nicely to the support coils; contributing to proper alignment. Foam encased, 5 zone micro-coils provide additional support and comfort. They also allow for greater airflow and cooling. This layer gives additional support comfort and spinal alignment. In our DreamCloud trial, we detected little to no motion detection. This is great for couples who don't to disturb each others sleep. Memory foam, latex and micro-coils combine to disperse weight evenly; decreasing motion disturbance. We rate DreamCloud's performance in this category as excellent. 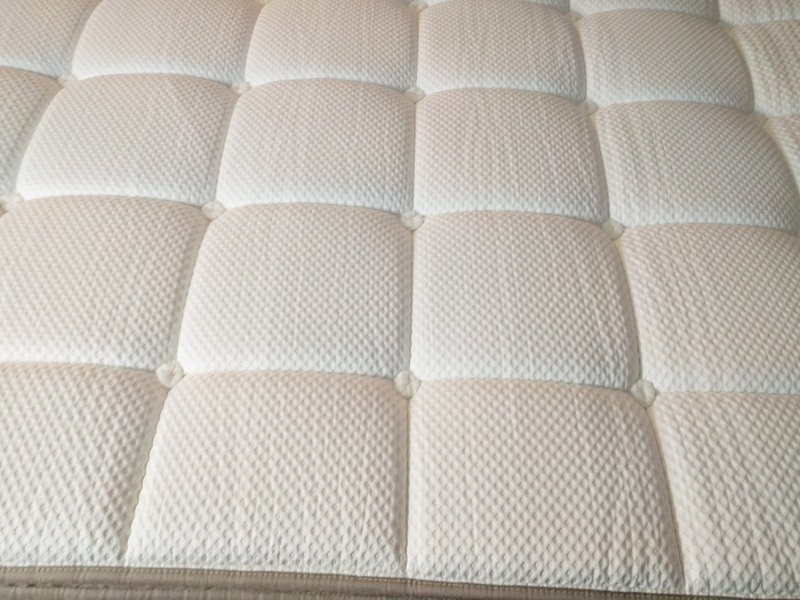 The combination of high density memory foam and natural latex offer great pressure relief and conformity. Micro-coils provide additional contouring that works well below the quality foam combos. Cooling gel memory foam helps to keep you from over heating. Natural latex is a nice compliment; sleeping cooler than typical synthetic foams. Meanwhile, Cashmere blended fabric and micro-coils ad additional breath-ability. Reinforced sidewalls support is designed to give full edge to edge sleep quality. In our testing, we found edge support to be exceptional. It's important to note, the DreamCloud is a lot of mattress and it takes a few hours to expand fully. In our trial, the edges were the last thing to fully take shape. Once they did, the feel was consistent across the width of the mattress. DreamCloud is built to last and backed with a lifetime "Everlong" Warranty. High density memory foam, natural latex and advanced micro-coil system provide great support and longevity. What used to be considered a standard feature on all mattresses has become a bit of a rarity these days. To save money, most companies no longer include handles at all. The purpose is to be able to adjust your mattress and more easily change linens; not carry your mattress. This is a heavy bed and the stress would be too much. Used for the intended purpose, they are quite handy. DreamCloud has a feel we would best classify as a medium firm. The mattress offers gentle contouring but, has a buoyant quality that creates a floating sensation. It's a feel that appeals to the widest variety of comfort preferences; with most back, side and stomach sleepers falling into this range. It's also a nice median feel for couples who have differences in comfort preference. Back Sleeping: While testing the DreamCloud mattress, we found it to be quite comfortable while on our backs. Firm enough to provide proper spinal alignment, but soft enough to alleviate pressure on the joints. 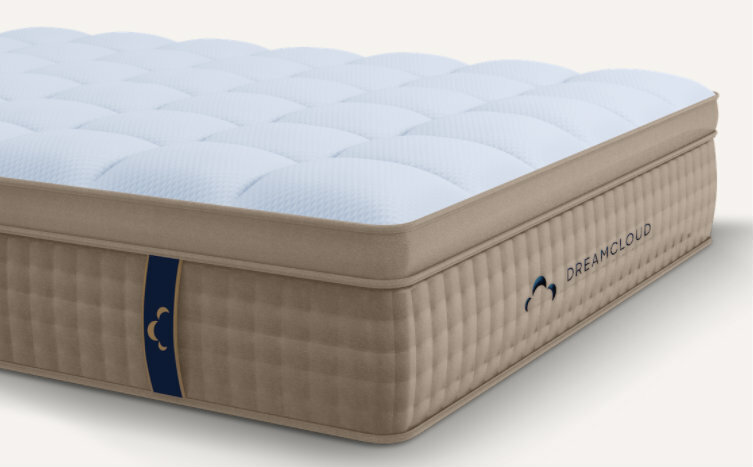 DreamCloud's layered comfort system of memory foam, latex and micro-coils disperse your weight evenly. Most back sleepers should appreciate this mattress's responsive support. Stomach Sleeping: We were surprised how comfortable this mattress was while on our stomachs. For those who spend a good portion of their nights on their stomach, DreamCloud may be for you. The mattress is contouring but still quite resilient. this allows for pressure relief without your lumbar sinking too low while in this position. Side Sleeping: How you interpret comfort while sleeping on your side will vary depending on your body type and personal preference. DreamCloud has a universal mid range comfort feel that will appeal to the majority of sleepers. DreamCloud creates a sensation of sleeping on the mattress; rather than in it. It's a great quality for those who don't like the sink-in feel of most memory foam beds. If you are a side sleeper who prefers more body hug and softness, this mattress may not be for you. ​​Click to receive the special promotional prices listed below! DreamCloud is delivered to your door free of charge anywhere in the continental US. Your mattress will arrive within 1 - 5 days of your order via FedEX. White glove in home setup and removal of your old mattress is available for $149. Allow an additional few days for DreamCloud to arrange for a full service delivery date. Your mattress will arrive in a heavy blue canvas bag. A standard queen weighs around 120 lbs, so be sure to have a second set of hands available to help. Once you get the mattress into it's desired location, setup is actually quite easy. Inside Inside it's distinctive blue cover, the mattress is sealed in a protective plastic wrap. 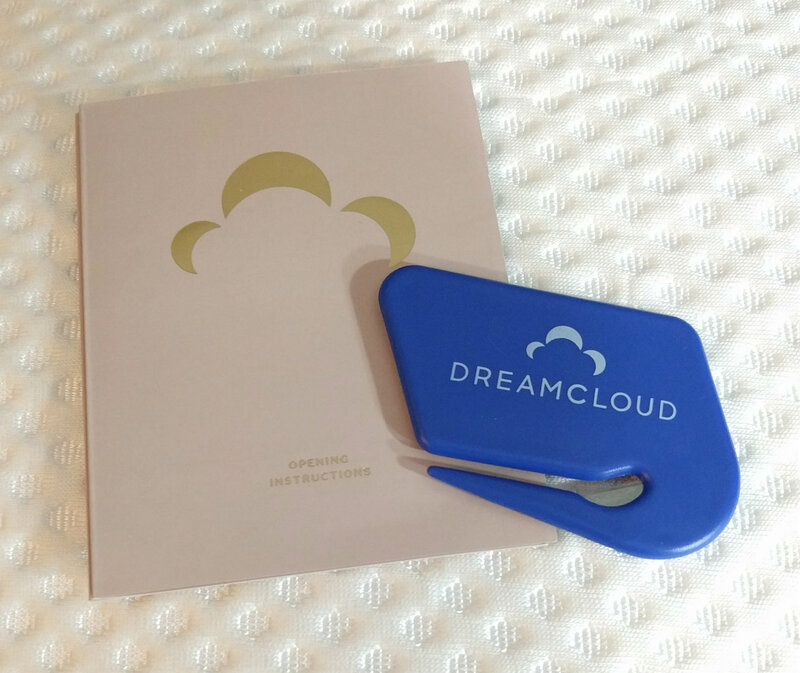 Before breaking the seal, we recommend placing your DreamCloud on it's platform for easier setup. Carefully cut through it's seal. Take care not to damage the fabric top while opening. A safety cutting tool has been provided for your convenience. Your DreamCloud mattress will rapidly expand once the plastic seal has been broken. You can then remove the the remaining covering and watch your new mattress take shape. Allow for a good hour or two for the process to complete. There are some dense quality materials that require this time to fully expand. Special note: If you are taking delivery in a the winter time in a northern climate, your DreamCloud mattress may take some time to warm and soften. All foams, (memory foam in particular) need to adjust to room temperature when it comes off of a cold truck. It was 20 degrees on the day of our delivery and the difference was discernible after a few hours. Couples who want limited motion transfer will appreciate the lack of motion detection. It assures that if one of you is having a restless night or has an early appointment your movements don't have to disturb your sleep partner. Couples who are far apart in comfort preference can find a happy medium with the DreamCloud mattress. This mattress has nice balanced feel that strikes a chord with most back, side and stomach sleepers. People who sleep hot will benefit from the cooling characteristics of DreamCloud. Sleepers looking for a great value can purchase a true luxury mattress priced well below comparable retail beds. Those looking for a great warranty and comfort guarantee will like DreamCloud's promise. The 365 day comfort trial and Everlong warranty gives shoppers great peace of mind. If you like to lay on a mattress not in it you will like DreamCloud. This mattress creates a floating sensation. This differs greatly from most memory foam beds that create a sink in feeling. Who will not like DreamCloud? Those seeking a ultra plush, super soft feel will probably want a different mattress. DreamCloud has more than adequate pressure relief for most but may be a bit too firm for sleepers seeking deep body hug and conformity. Petite individuals with lesser body mass may not appreciate as much contouring and pressure relief. While DreamCloud has a comfort feel that will appeal to most, no single mattress is right for everyone. If you like the feel of a traditional memory foam mattress, DreamCloud will sleep noticeably different. 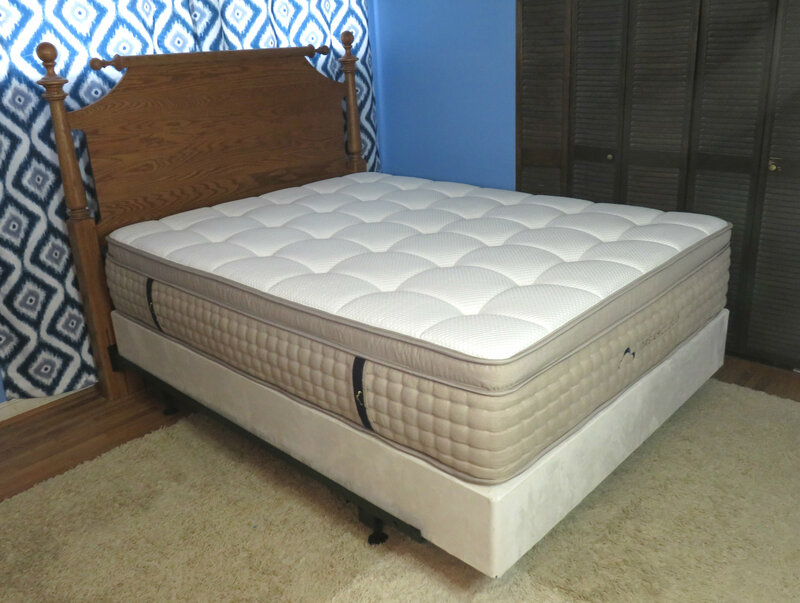 Although this mattress has a considerable amount of memory foam, it also has latex and micro-coils that ad extra bounce and buoyancy. It comes down to a personal comfort preference. If you are sensitive to odors you may not appreciate the initial scents that are present until this mattress airs out. Although not unpleasant, we did notice a mild odor that was apparent once the seal was broken on the packaging. The scent dissipated completely within 24 hours. It's important to note that DreamCloud is CertaPUR certified and releases no toxic chemicals into the air. Most of this initial scent can be attributed to the presence of natural materials like cashmere and natural latex. These scents will fade quickly and present no danger. If possible, we recommend leaving the linens off the bed initially and opening the window a crack for faster dispersion if the scent persists. Rest assured, their presence will pass and presents no danger whatsoever. DreamCloud's Everlong Warranty covers construction, material, quality and durability. As long as you own your mattress, DreamCloud will honor their commitment to customer satisfaction. This type of guarantee is unprecedented in the bedding industry. However, the company is confident the DreamCloud mattress is the only mattress you'll ever need. The warranty applies to the original owner and does require that proper care be taken to maintain the mattress. See full manufacturer details. A word about this warranty: DreamCloud's commitment to customer service is obvious. That said, it's unlikely you'll be keeping this mattress, or any other mattress forever. Even if a bed is reconditioned to meet warranty specifications, it does not guarantee it will feel as comfortable as when new. Your age, physical condition and recent injuries make each stage of life play a part in how our comfort requirements may change. A mattress that's appropriate when you're in your 30's may not suit your needs at age 50. DreamCloud offers a full 365 day comfort guarantee. This is an exciting and bold commitment to total customer satisfaction. If for any reason you decide DreamCloud is not for you, return the mattress for a full refund. As with the purchase of any new mattress, we recommend you give your DreamCloud a minimum of 60 days before returning. Your body often needs a bit of time to adjust and a new mattress will also break in during this period. DreamCloud has delivered on their promise of offering a luxury mattress at a great price. This bed has the look and feel of a premium mattress from a high end brick and mortar sleep shop. The DreamCloud mattress is also backed by the most outstanding warranty and comfort guarantee in the industry. You risk nothing and gain the opportunity to get a great night's sleep. Great Value: DreamCloud is 1/2 the price of comparable beds you'd find in a retail environment. Sleeps Cool: Gel foam memory foam and natural latex sleep cool and comfortable. Micro-coils allow for additional air flow and breath-ability. Pressure relief: For those seeking that mid range firmness level. DreamCloud offers the ideal blend of support and conformity. Everlong Warranty and 365 Night Comfort Guarantee speak for themselves. No off gassing: Materials used may have a mild scent when mattress is first unpacked. However, any odors quickly dissipate and present no danger. DreamCloud is CertiPUR certified to not release toxic chemicals into the air. Only One Firmness Option: The DreamCloud mattress will accommodate most but not all comfort preferences. It may be too firm for those seeking an ultra plush super soft bed. Limited Company History: In and of itself, this is not a bad thing. It simply means there is not a lot of history to draw from. Once DreamCloud establishes a longer track record, the companies great warranties will be even more meaningful. Is DreamCloud right for you? DreamCloud is a quality, luxury mattress that sells for 1/2 the price of comparable retail mattresses. This mattress also offers the strongest warranty and comfort trial in the industry. Try it risk free today!